The Kövesi case is casting a dark shadow on Romania at a time when the country assumes its first ever Presidency of the Council of the EU. Seen as a hero in Brussels for her track record at home as former chief of the anti-corruption DNA agency, Kövesi is demonised by the social-democrat-led government in Bucharest, who accuse her of political bias. Kövesi was summoned on Thursday to appear at court in Bucharest, the very day when the European Parliament met to decide whom to back for the position of first-ever head of the European Public Prosecutors Office (EPPO). 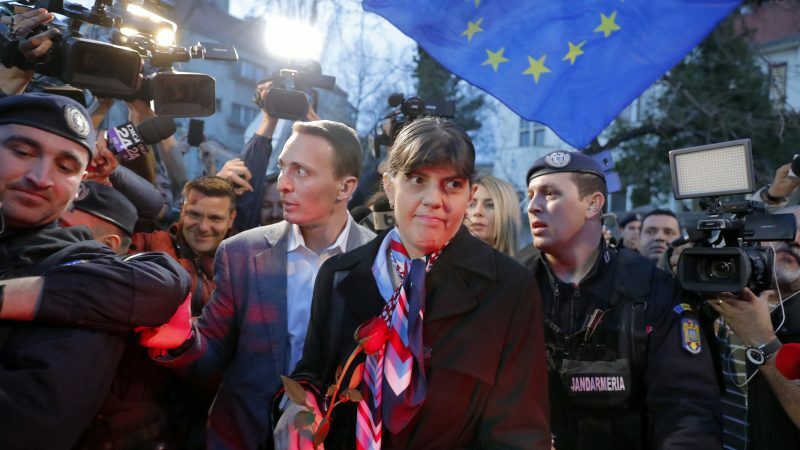 Romanian magistrate Laura Codruța Kövesi, a hot favourite to become the EU’s first-ever top prosecutor, is due to appear in court in Bucharest next week over allegations of corruption, media reports said Thursday (28 February). 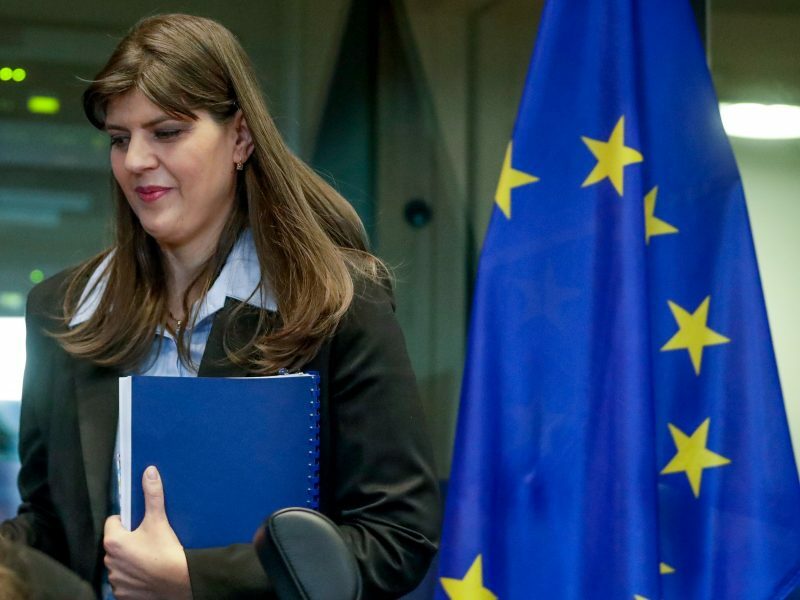 After a hearing at the Magistrates’ Investigation Section, Kövesi said that she was charged with another case but was not allowed to see any documents or have a lawyer, EURACTIV Romania reported. In this second indictment, Kövesi said she would be accused of heading “an organized crime group” inside the DNA: “The minutes were signed only by lawyers, not the prosecutor. I did not remember [details] because he was reading very quickly”, she described what looks like a Stalinist-style accusation. “I was prevented from making a statement, and it was my desire to clarify those fabrications”, Kövesi said. Stressing that she was not guilty, Kövesi added that this campaign was related to her candidacy for the European Prosecutor’s Office. In the meantime in Brussels, the European Parliament decided that Kövesi was the MEPs choice for chief of EPPO. The decision was taken by the Conference of Presidents, after two relevant committees supported Kövesi over the French candidate Jean-François Bohnert. A vote in plenary was considered as unnecessary. The European Parliament chose Romania’s former anti-corruption chief Laura Codruţa Kövesi as its top pick for the EU’s first-ever chief prosecutor on Wednesday (27 February), setting itself on a collision course with the member states, which had opted for Kövesi’s French rival. The Parliament’s position however is in collision with the Council, where member states had decided to back the French candidate. This is why the European Parliament elected a negotiating team in view of finding a compromise with the Council. The three members of this team are Claude Moraes (S&D, UK), Ingeborg Gräßle (EPP, Germany), and Judith Sargentini (Greens, Netherlands). 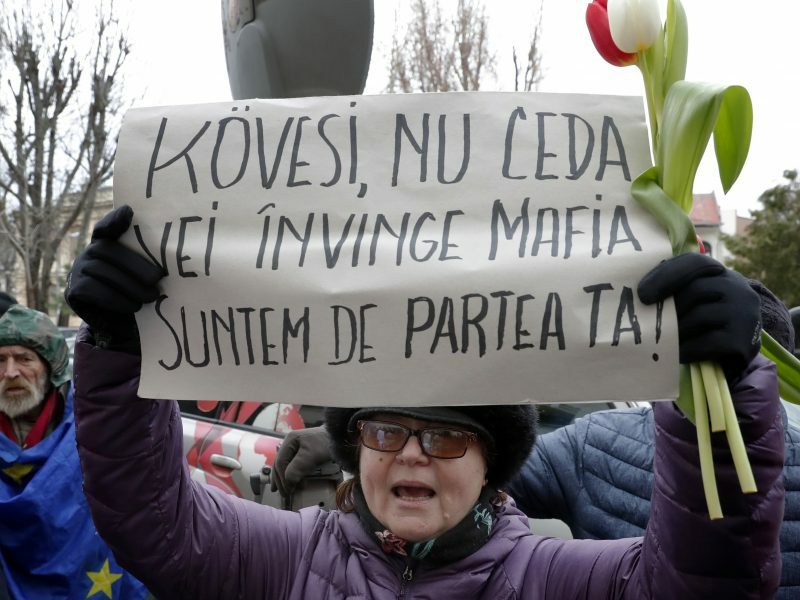 Ska Keller, co-president of the Greens, stated that by choosing Kövesi, the European Parliament was sending out a strong message that it took the fight against corruption, fraud and cross-border crime seriously, by supporting a person with such experience. “Laura Codruţa Kövesi has an unmatched track record to support justice and to hold officials accountable for corruption, despite numerous attempts at interference in his work by the PSD-ALDE Government”, said Keller. The next steps are hard to define, as the procedure to elect the EPPO chief is without precedent. It is expected however that a final decision could be adopted by the end of this month. This whole thing is completely illegal, the PSD/ALDE dictatorship in Romania didn’t even allow her to bring an attorney. Incredibly illegal action by the PSD/ALDE dictatorship and this is why Udo Bullman and Guy Verhofstadt need to stop messing around and kick these criminal parties out of their groups, urgently!